At Vital Face and Vein in Wellington, our doctor is an expert in the field of injectables. We are also one of the only practices where our doctor actually performs the injectable treatments. 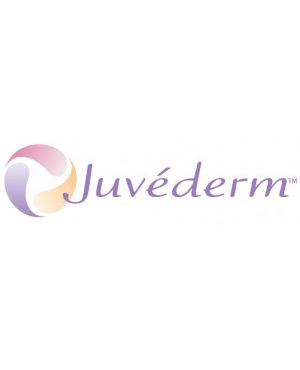 Juvéderm is a smooth gel injectable filler made from hyaluronic acid (a naturally occurring substance in the body) used by our cosmetic doctor to effectively soften those deep folds and lines that develop over time in the face. In addition to the nasolabial folds it’s also very commonly used to enhance the size and shape of lips, cheeks and total face rejuvenation. Juvéderm (hyaluronic acid) is currently available in several different versions. These variations are very similar, but it is important to know the difference. Voluma is the most dense and lifting version of the Juvéderm Vy-cross injectable gel range. Having a ‘thicker’ gel is useful for deeper lines in your face and capable of filling in areas like the cheeks, whereas the Volift version is best in finer skin areas and for finer lines and wrinkles. Vobella hydrates the skin and is excellent in the tear trough, lips and for smile lines and fine lines. Ask our doctor which type of Juvederm is right for you. Treatments vary among patients, however, on average, patients need 3 treatment sessions, each 4 weeks apart, to experience the best results. Generally the effects last for about 12-24 months, but this varies slightly from patient to patient. Injections can be repeated as necessary. The side effects are minimal, but common side effects can include localized pain, inflammation, redness, itching, bruising and/or swelling. These are all normal side effects and disappear within a few days. Serious complications are very rare, and the doctor will go through all risks at time of your consultation. The products have anaesthetic incorporated into them, so this will numb the area as the area is treated. Ice and topical anesthetic can be applied if needed, however most patients find the treatment manageable. Each patient’s needs are different, so there is not one set cost of Juvéderm. We will assess your personal needs and let you know how much your treatment will cost. To make treatments more affordable, we do offer package prices.